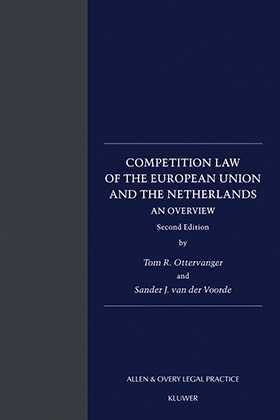 This second edition of Competition Law of the European Union and the Netherlands: an overview, is a complete revision and update of an earlier publication of 1998, published shortly after the introduction of the Dutch Competition Act. Competition law is of vital importance for all major strategic business decisions and for all corporate and M&A transactions. This book is a comprehensive analysis of the EC and Dutch rules and practises in this area of the law. It is only a matter of size of the parties and of the transaction whether the EU or Dutch rules apply. This is the primary reason for discussing both sets of rules in one publication. The other reason is that the EC rules and practices are a major source of inspiration for the Dutch legislator, regulator and the courts.